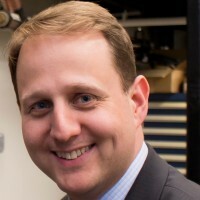 Christopher A. Schuh is the Department Head and the Danae and Vasilis Salapatas Professor of Metallurgy in the Department of Materials Science and Engineering at MIT. He joined MIT in 2002, having received a B.S. degree at the University of Illinois at Urbana-Champaign, and a Ph.D. at Northwestern University, both in the field of Materials Science and Engineering. Prof. Schuh also held the Ernest O. Lawrence postdoctoral fellowship at Lawrence Livermore National Laboratory. Prof. Schuh’s research is focused on structural metallurgy, and seeks to control disorder in metallic microstructures for the purpose of optimizing mechanical properties. Prof. Schuh has published more than 160 papers in scientific journals, and his research has received international attention through various awards, including the Robert Lansing Hardy Medal of the Metals, Minerals, and Materials Society. Prof. Schuh co-founded Xtalic Corporation, a technology spin-out company that has commercialized a new process for dynamically controlling the nanostructure in electrodeposited metals, with applications ranging from automotive and machine components to electronics. In 2011, Prof. Schuh was named a MacVicar Fellow of MIT, recognizing his contributions to engineering education.